Macquarie Centre in North Ryde used to be the shopping centre of choice for me and my high-school mates when we wanted to see a movie. Whatever money we had left over from a ticket to the latest iteration of the Rush Hour franchise and an hour at the Timezone next to the cinema was spent in the centre's modest food court, where the most exotic meal on offer was a kebab from Ali Baba. 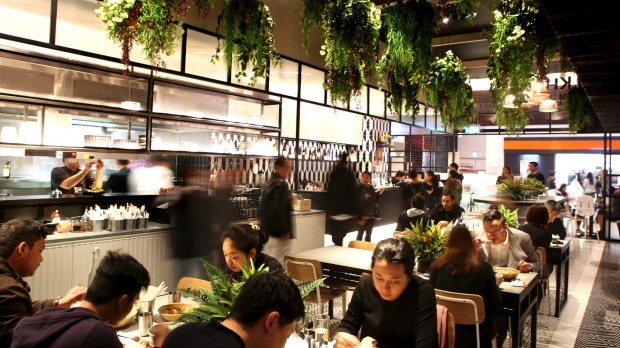 Things have changed pretty drastically since the last Rush Hour movie came out, especially when it comes to food courts in Sydney's ever-expanding retail theme parks. The biggest and fanciest shopping centres would rather you call them "dining precincts" or "culinary experiences" now, and you're more likely to find a new restaurant concept from one of Australia's top chefs in a Westfield than the usual fast-food franchises. 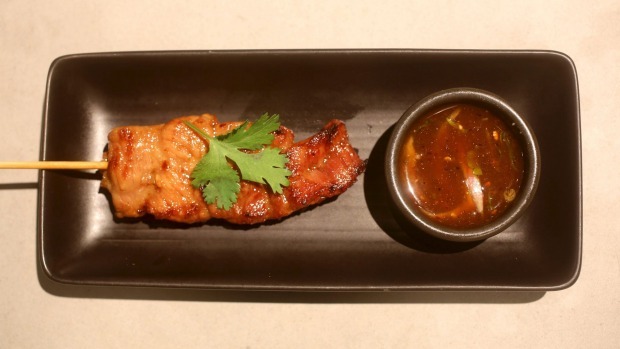 Macquarie Centre is now home to the second location of one of Sydney's best Thai restaurants. Khao Pla opened in Chatswood in 2013 and very quickly had diners hooked on its authentic but fun and accessible street food offerings, especially the tom-yum-flavoured fried chicken wings and sticky tamarind pork ribs, which sat alongside an amazing menu of Thai stir-fries and curries that didn't hold back on the spice. 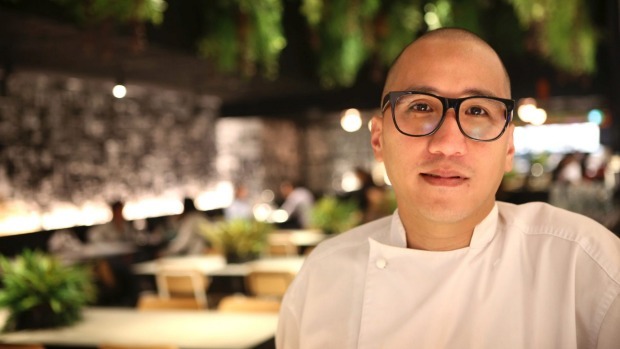 Before opening Khao Pla, head chef Pla Rojratanavichai worked in the kitchens at Merivale's modern Asian restaurants Mr Wong and Ms. G's, and before that at Sydney's beloved Thai institution, Spice I Am. Eating at Thai restaurants all around Sydney over the past decade, Pla noticed how similar and dull so many of them were. "Most Thai restaurants 10 years ago did the same thing," he says. "Same menu, same style of sauce, same presentations. I wanted to do something different." Pla's outlook for his menu is pretty simple: "I cook what I eat. Everything I cook is what I like." But this philosophy has inspired some of the most fun and inventive Thai dishes you'll find in Sydney, and the fact that you can eat them in an elegantly furnished space within a suburban shopping centre shows how far Sydney diners have come. With such an impressive selection of grilled meats, noodle dishes, curries and less traditional Thai offerings (make sure you try the grilled corn slathered in tamarind mayo), what's Raj's favourite dish on his menu? He laughs when I ask him. "Kra pao," he tells me. "Chicken chilli basil. In Thailand, everywhere I go if they have it, I always order chicken chilli basil. It's simple. I like the holy basil, it's a very unique flavour. 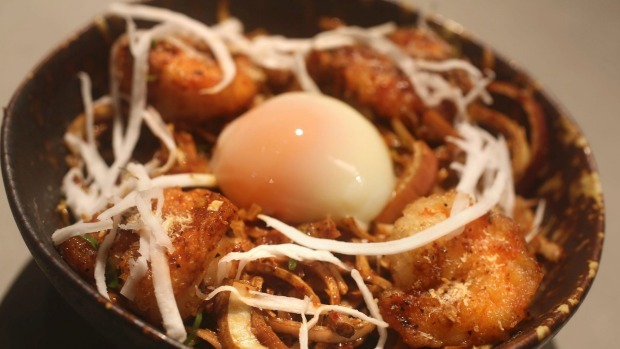 For Thai people this dish is very common, but people can tell from ordering it whether the chef is good at cooking." 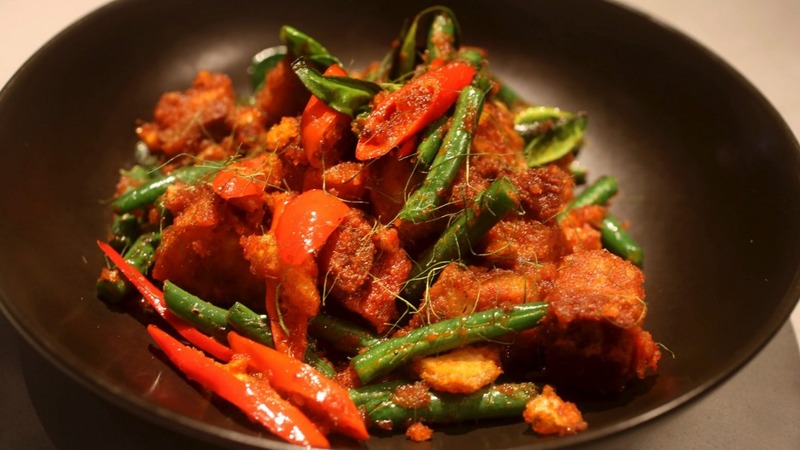 Must-order dish Wok-fried pork belly with red curry paste, beans and kaffir lime leaf, $19. Make sure you get there early enough to get the lunch special – your choice from a bain-marie packed with an ever-changing selection of Thai dishes you won't find at Chat Thai's other locations. A pocket of paradise, this beautifully designed "Thai local food hall" offers a huge selection of street food and sweets. 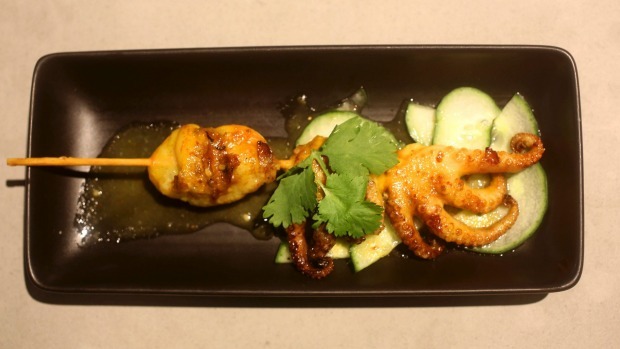 Raj Rojratanavichai's first restaurant is on the street beneath Westfield Chatswood. Renovations in August will double the dining space and add a organic wines and sakes to the drinks list.